Kimberly A. Hart directs daily procedures and service provisions in the Community Counseling Training Center (CCTC), teaches practicum and internship courses, provides academic advising to master's students, coordinates admissions processes for new applicants, and monitors student readiness for practicum and internship. She also provides supervision of department graduate assistants who support the admissions, CCTC and counseling internship functions. 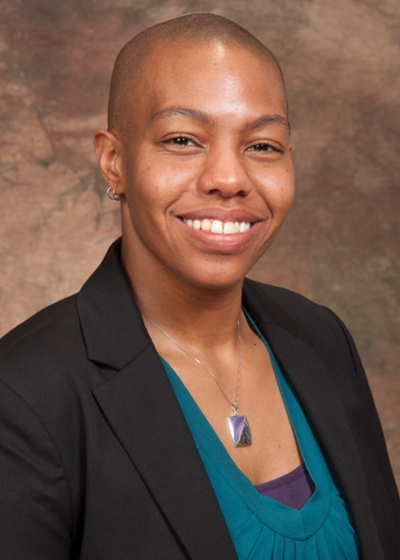 Dr. K. Hart has an emerging program of research and scholarship that focuses on experiential learning and group facilitation, intersectionality of cultural identities, inclusive practices professional organizations, compassionate and conscious social justice and intersectionality of spirituality and sexuality for non-majority individuals. Kimberly's scholarly work includes annual presentations at the local, regional and national level. Raheem, M. A. & Hart, K. A. (Accepted). Complexity and intersectionality of crisis and trauma in counseling those of African descent. Hart, K. A. (Accepted). Multicultural inclusion: A phenomenological study of men of color who are professional counselors. (Doctoral dissertation). ProQuest. Lauka, J. D., Hart, K. A., Binhackova, M., and Friedman, E. N. (Spring, 2015). Cultivating Authentic Community in Counseling Programs through Faculty-Student Relationships. ACA VISTAS. Dr. Hart’s service work crosses several areas of mental health awareness, advocacy, and education.She is a Past-President of the Illinois Counselors for Social Justice (2015-16) and Illinois Association for Specialists in Group Work (2016-17). Dr. Hart’s advocacy and education work extends to National Council for Behavioral Health (NCBH) Mental Health First Aid training for youth, adults and higher education institutions, NBCC-I Mental Health Facilitator training and Mindful Cross-Cultural group facilitation.